We are offering a broad range of Contamination Checking Kit, which is made employing the top quality component and advanced technology. These products are extremely employed in many places due to their easy to install and top performance. Our range is available in diverse configurations that meet on patron’s demand. 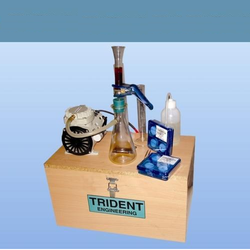 With rich industry experience, we are well-known in the market for Hydraulic Oil Testing Kit. These products are developed using advanced technology and top component that are obtained from industry known retailers. Due to easy to install, these are broadly employed in the market. In addition, we present this product at normal costs to our customers. 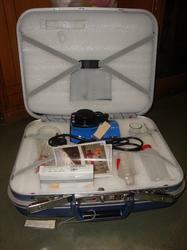 Our firm is betrothed in providing Contaminated Oil Test Kit to our valuable customers. This product is highly used for oil test in different industries like aerospace, automotive, energy supply etc. These products are made employing the high grade component which is obtained from the industry proficient dealers. These products are enormously applauded owing to their reliable working and top performance. Our presented products are highly employed in several places. First, two/ three time Clean the Benzene. Take about 10 cc oil sample and heat it. The presence of water or moisture is indicated by the cracking sound of water bubbles in the sample. With the help of our highly knowledgeable experts, we are betrothed in providing a varied range of Checking Kit. This product is made by industry certified experts in compliance with the universal principles employing the advanced technology and top components. 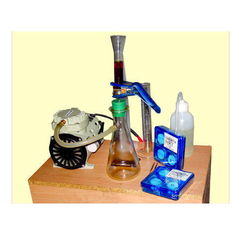 Our presented products are extremely employed by patrons to oil testing. 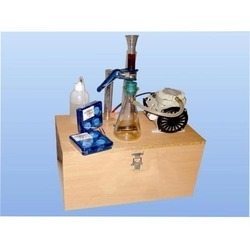 We are betrothed in providing Oil Testing Kit to our precious patrons. These products are developed under the headship of experts who have rich industry acquaintance and experience. Owing to high demand, we present this product in varied technical configurations. Our presented products are widely employed in the market owing to its top operations and rust resistance. Looking for Oil Testing and Checking Kits ?